Our live coverage has come to an end for today, but we'll be back at 06:00 BST tomorrow with all your news, sport, travel and weather. The owners of a pet cat left for dead after being shot at least eight times have offered a reward for any information that helps catch whoever did it. M26 Kent westbound severe disruption, between J2A for A20 and M25 J5. M26 Kent - One lane closed on M26 westbound between J2a A20 and M25 J5, because of a broken down vehicle. Traffic is coping well. People are being warned to take extra care following reported sightings of Deadly Portuguese man-of-war in Brighton and Hove over the last week. 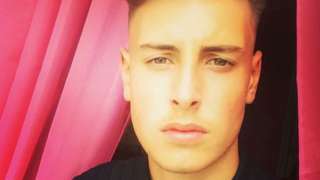 Kyle Yule was reportedly attacked while fleeing from a Renault Clio that was being vandalised. Make the most of the calm conditions before heavy rain and wind arrive for the weekend. 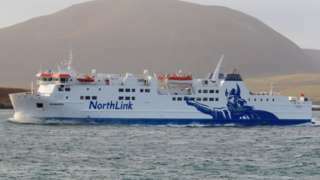 The RMT says the contract should be taken into public ownership when the current one with Serco Northlink Ferries expires. M25 Surrey clockwise severe disruption, at J13 for A30. M25 Surrey - One lane blocked and queuing traffic on M25 clockwise at J13, A30 (Staines). M25 Surrey anti-clockwise severe disruption, between J10 for A3 and J9 for A243. M25 Surrey - Two lanes closed and queuing traffic on M25 anticlockwise between J10, A3 (Wisley Interchange) and J9, A243 (Leatherhead), because of a vehicle fire. 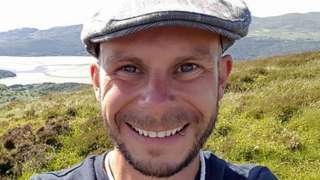 Ex-Sapper Christopher Clement crashed with an oncoming car while driving the wrong way down the M20. A Sussex MP has recommended others in politics should relax more, by spending an hour in the bath every morning. Worthing East & Shoreham Conservative representative Tim Loughton said time in spent the baths helps to "cleanse the body and clear the mind", according to The Times. The co-chairman of the all-party parliamentary group on mindfulness was speaking at a conference exploring how meditation and greater self-awareness can improve the conduct of politics. He added: "One of the greatest causes of stress in the world was the invention of the shower." M25 Surrey anti-clockwise severe accident, at J7 for M23 affecting J8 for A217. M25 Surrey - Queuing traffic on M25 anticlockwise at J7 M23, because of an accident, which is now on the hard shoulder. Congestion to J8, A217 (Reigate). Bob Homewood was killed in his bed at home when the roof collapsed during the Great Storm of '87, 30 years ago. The landscape of the South East was decimated by the Great Storm of 87', 30 years ago. One Sussex garden, Wakehurst, lost 20,000 trees overnight. A pedestrian who died after suffering serious injuries from a collision with a van has been named as Stephen Smith. 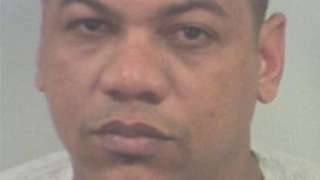 The family of Mr Smith, 49, of Trench Road, Tonbridge, Kent, have been informed. Police are still appealing for witnesses to the collision on Wednesday 27 September, on the A264 at Holtye Common, near East Grinstead. Mr Smith died on Thursday 12 October. M25 Surrey anti-clockwise severe disruption, between J13 for A30 and J12 for M3 affecting J15 for M4. M25 Surrey - Queuing traffic on M25 anticlockwise between J13, A30 (Staines) and J12 M3, because of an earlier broken down vehicle. All lanes have been re-opened. Congestion to J15 M4. The sister of a kayaker who died earlier this year support a safety initiative by the RNLI. 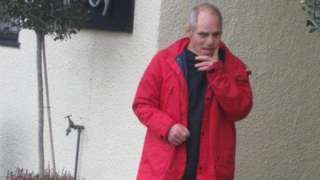 Anthony Dawson, 64, had an eating disorder and craved non-food items, including cigarette butts. The deadline to nominate your BBC Get Inspired Unsung Hero is on Sunday at 23:59 BST.